I'm back with the other ZA Christmas set! 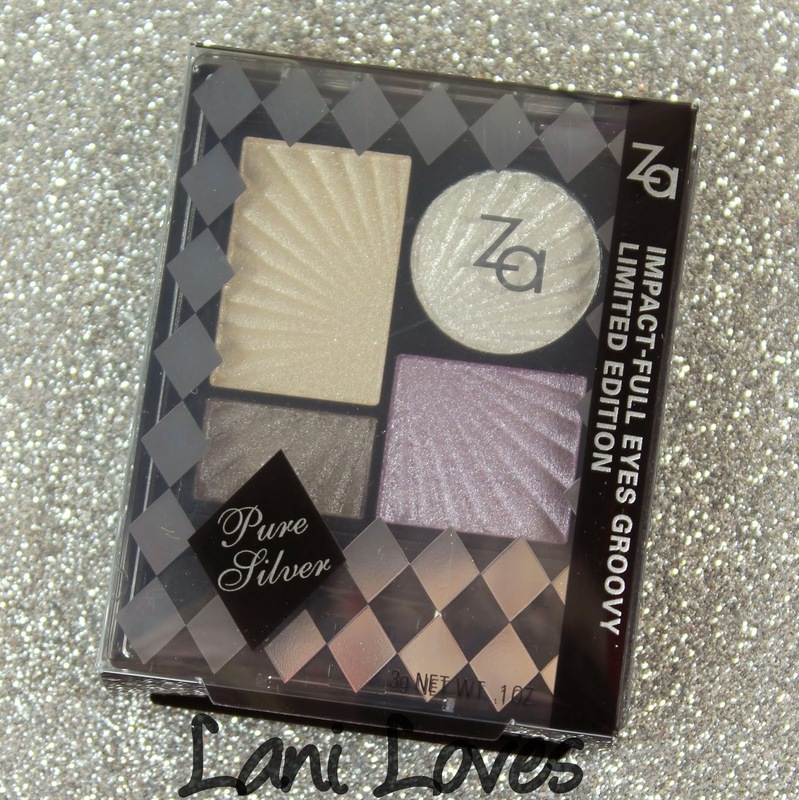 In case you missed my previous review, ZA have released special limited edition shades of some of their most popular products which are exclusive to these sets. 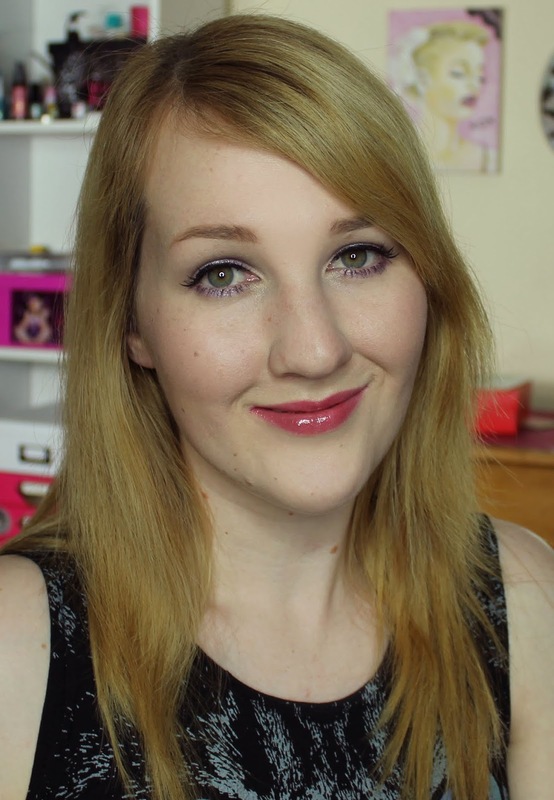 There's a silver set, which I have to review for you today, and a gold set, which I reviewed earlier in the week. 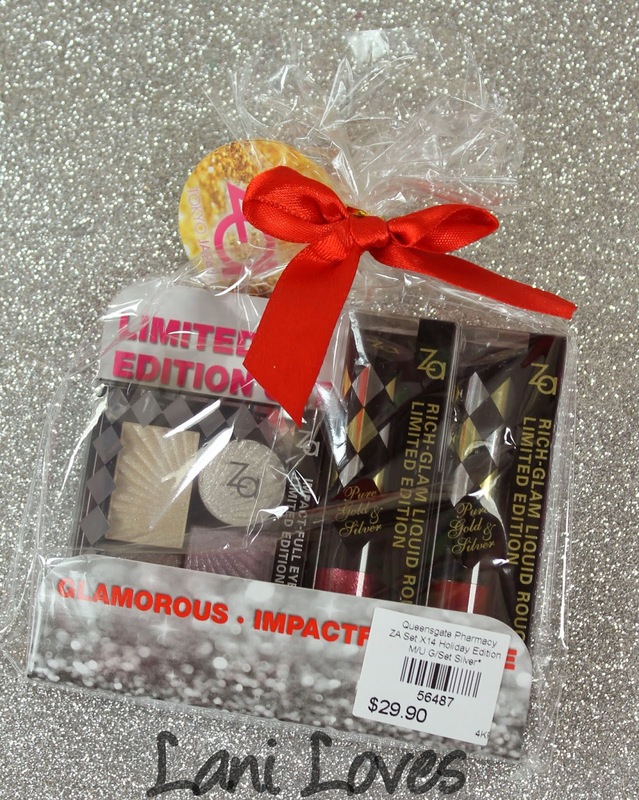 Each set is $29.90 and includes two shades of Rich-Glam Liquid Rouge (worth $18 each) and an Impact-Full Eyes Groovy eyeshadow palette (worth $20), so you're getting $56.00 worth of products at a little over half price. 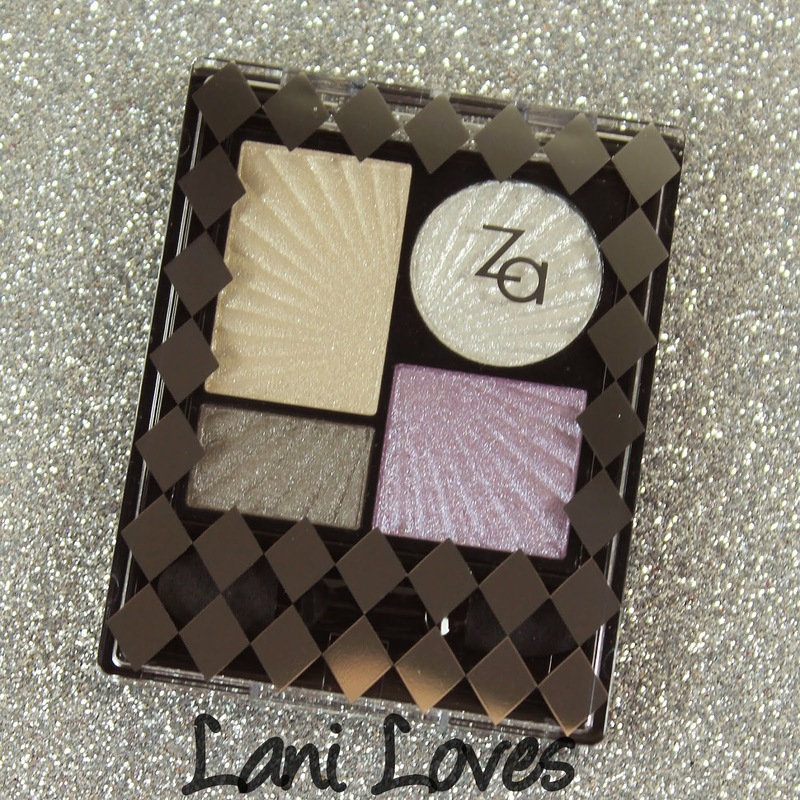 The Pure Silver palette contains a quartet of shades and a sponge applicator. I like that the size of the colours is mostly proportionate to how much each colour would be used in a simple colour placement, though I would have preferred to see the sizes of the pearly white and the grey-brown switched (you'll see why shortly!). The first shade is a golden tan with flecks of silver shimmer. It swatches nicely but blends into near obscurity, with the base colour disappearing and leaving just specks of sparkle behind. 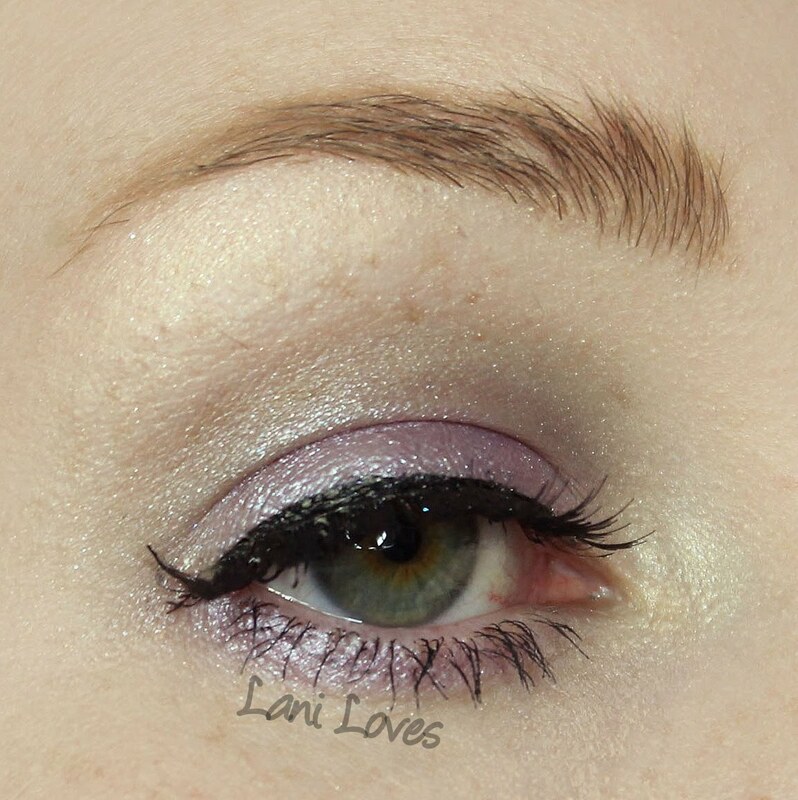 It's beautiful over a sticky base like Fyrinnae Pixie Epoxy though. 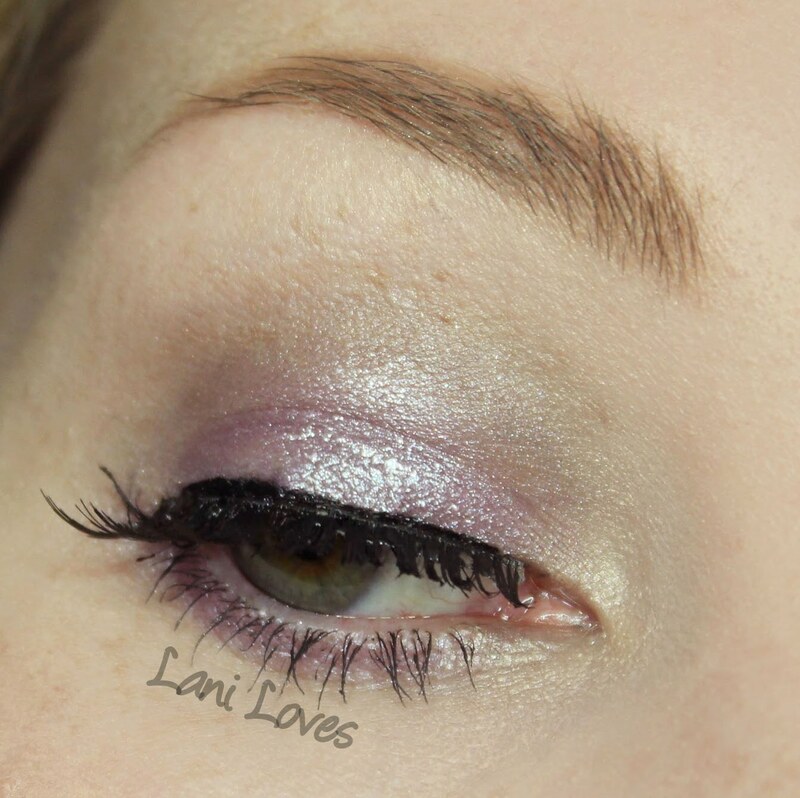 The second shade is silvery-white chunky sparkle. It has a very soft, loose texture, as I found out when I accidentally pressed too hard on it in the pan, sending clods of eyeshadow flying. Again, you really need a sticky base for this one to work. 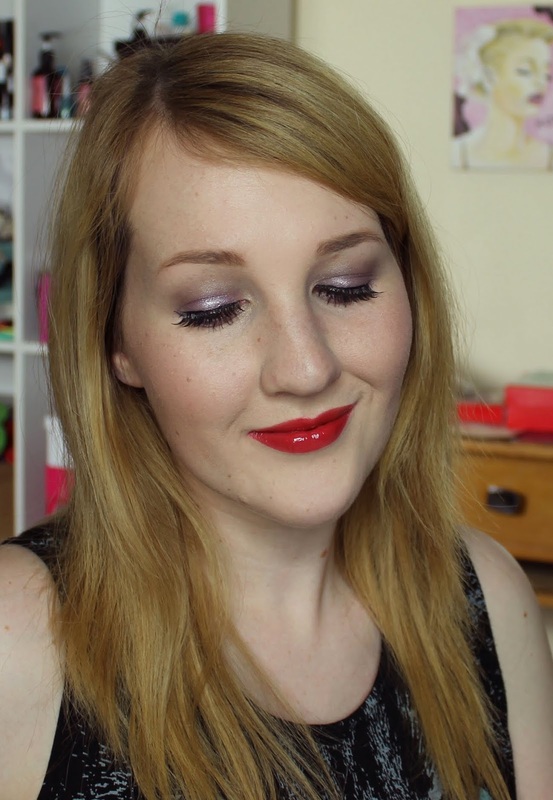 The third shade is my favourite of the four and redeems this palette greatly. 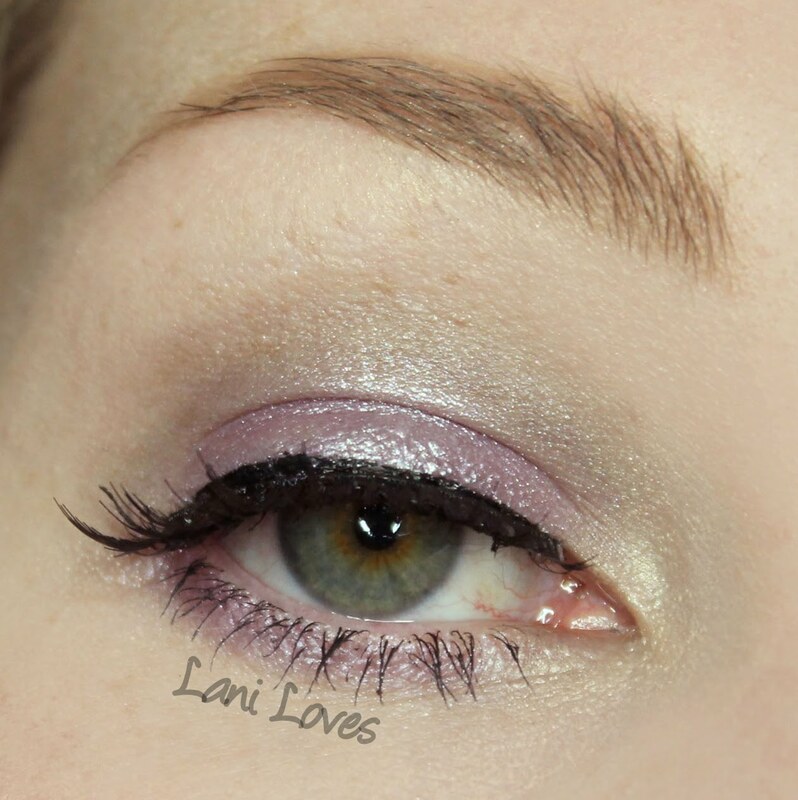 It's a medium lavender with silver sparkles and a soft, blendable texture. The sparkles bind with the base colour pretty well (although I'd still recommend using a flat shader brush to apply it in order to minimise fall out) and it has good colour pay off. The fourth shade is a bit of a chameleon; it appears to be a moth grey in the pan, a cool toned deep brown on my arm, and a hazy brown-tinted grey on my socketline. This also had nice colour pay off, texture and blendability. I look forward to trying it as a lid shade. I can see myself using this far more than the pearly white, so it would have been great to see this in a bigger pan size. I'm going to repeat myself from the Pure Gold palette review: I'm unimpressed that half of the eyeshadows need a sticky base to work. I don't believe your average consumer will own Fyrinnae Pixie Epoxy or a similar product as they tend to be more of an indie thing, so I envision people getting frustrated trying to use this without it. On the plus side, if you are buying this as a gift for someone it could be really cool to pop a trial size of Pixie Epoxy in with it to introduce them to a life changing product! 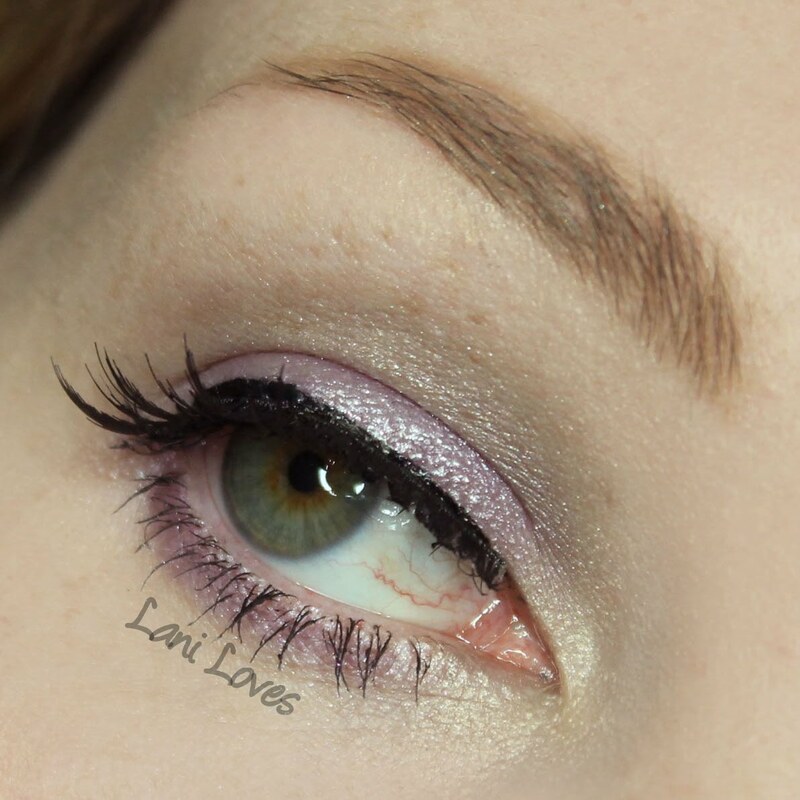 For this makeup look I used the lavender all over the lid and lower lash line, the grey-brown on the socket line, the golden tan as inner corner and browbone highlight and the pearly white patted over Fyrinnae Pixie Epoxy on the inner third of the lid. 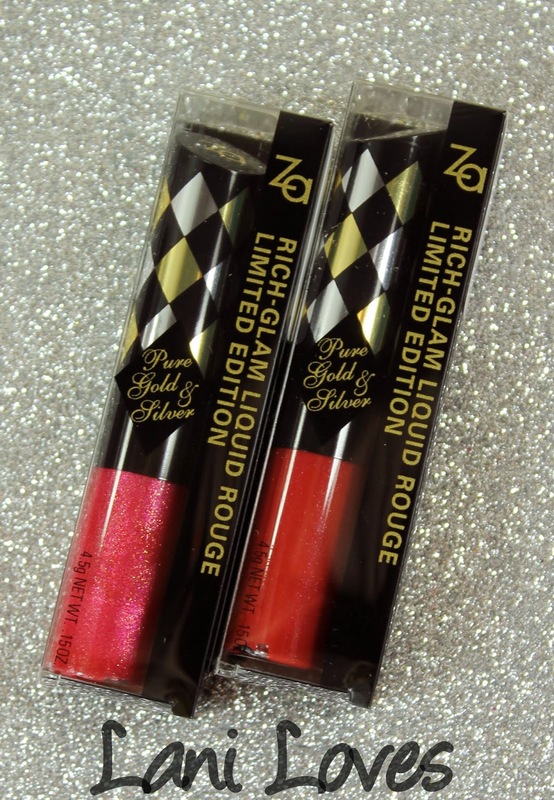 The Rich-Glam Liquid Rouge formula is intended to be long lasting and provide the 'rich colour of lipstick and glamorous shine of lip gloss in one single scoop'. 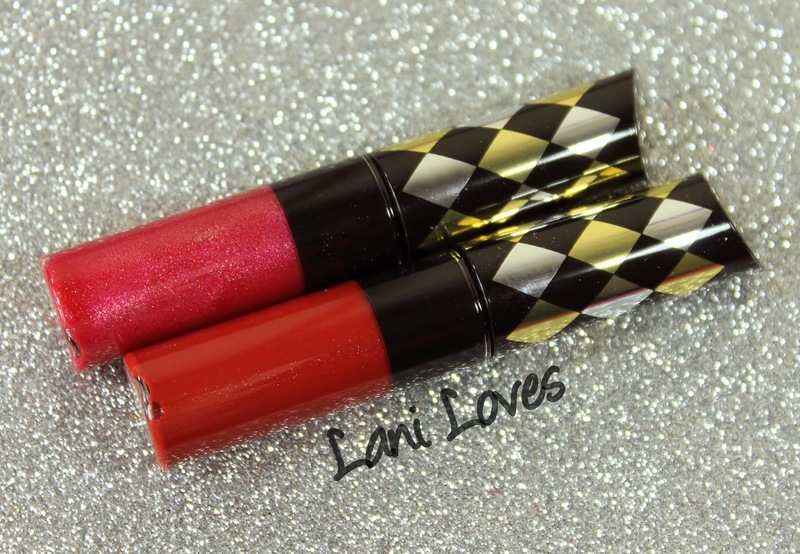 They have a curved Ultra-Fit applicator which is designed to provide easy application as the curved side hugs your lips to distribute the colour evenly. 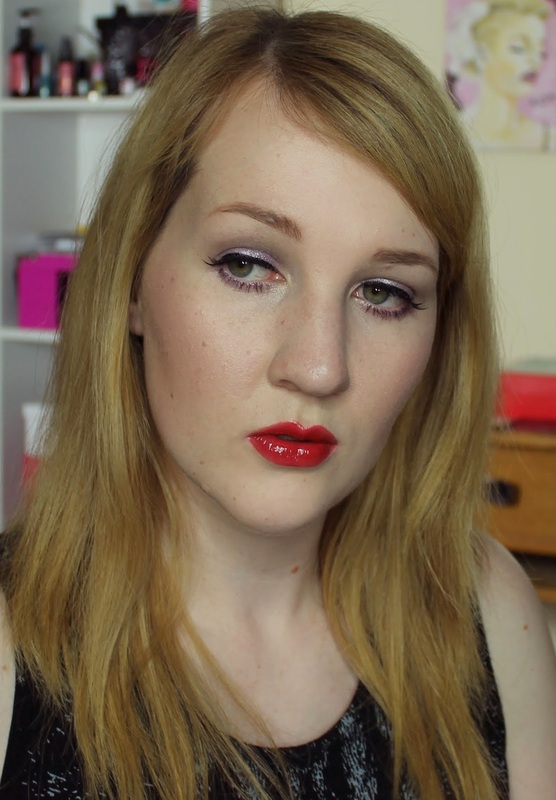 I like to use the pointed tip of the wand to outline my lips before using the curved side to fill them in. I do sometimes find that the curved applicator can lay things on a little too thickly though (which was more noticeable with Vivid Red in the Pure Gold set, I didn't have any problems with these two), so I'll then use the opposite side to even the product out. This formula has a faintly sweet syntheic scent. 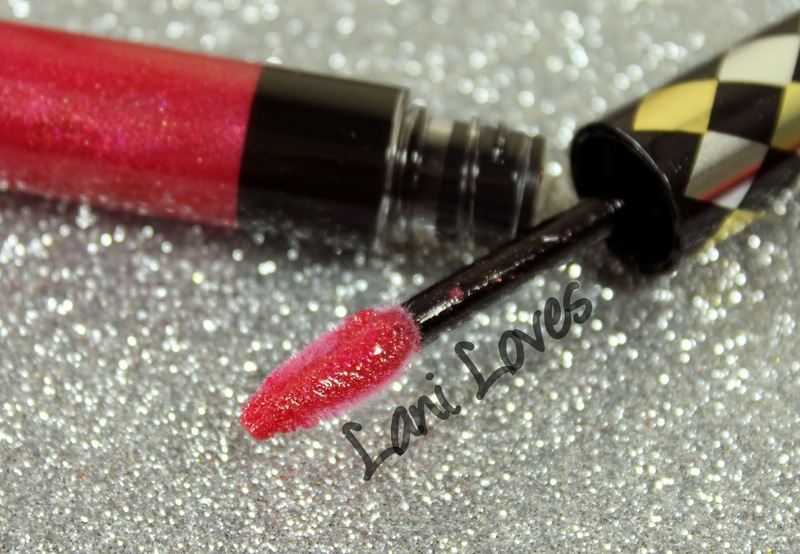 Rosy Red is a sheer, even medium pink with gold and fuchsia sparkles. 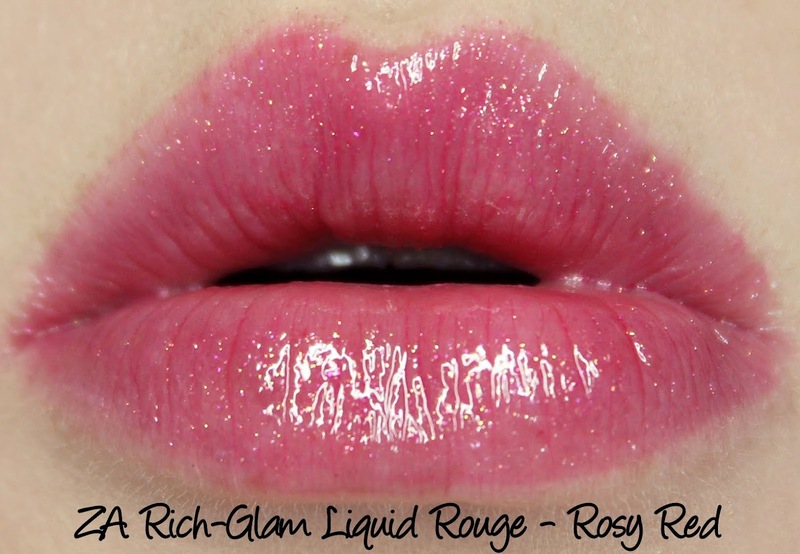 I think it's the sparkliest of the limited edition Rich-Glam Liquid Rouges, and because of this some texture can be felt if I press my lips together. It's otherwise unnoticeable though and it didn't bother me at all. Rosy Red wore for just over three hours, with the colour being mostly faded after that, but some minor tackiness and a lot of sparkle remained. I found this gloss to be really hydrating, it almost feels balmy. 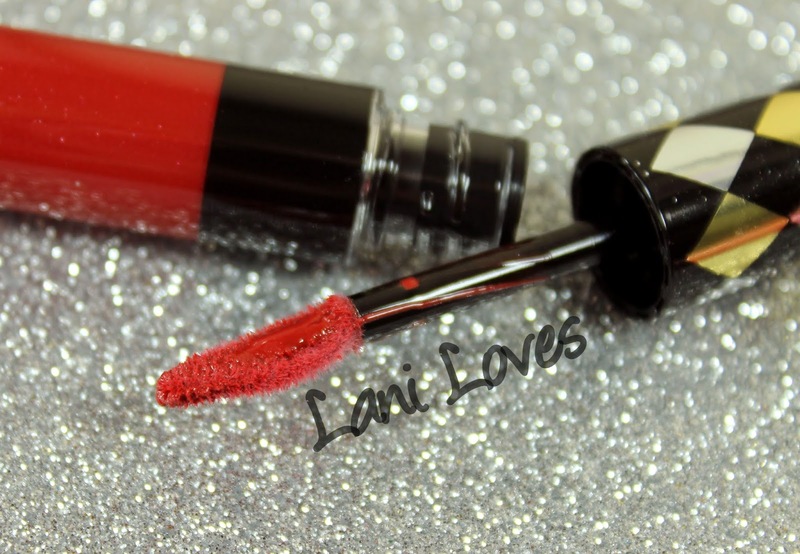 Bold Red is a blue-based red with sparse, subtle shimmer. 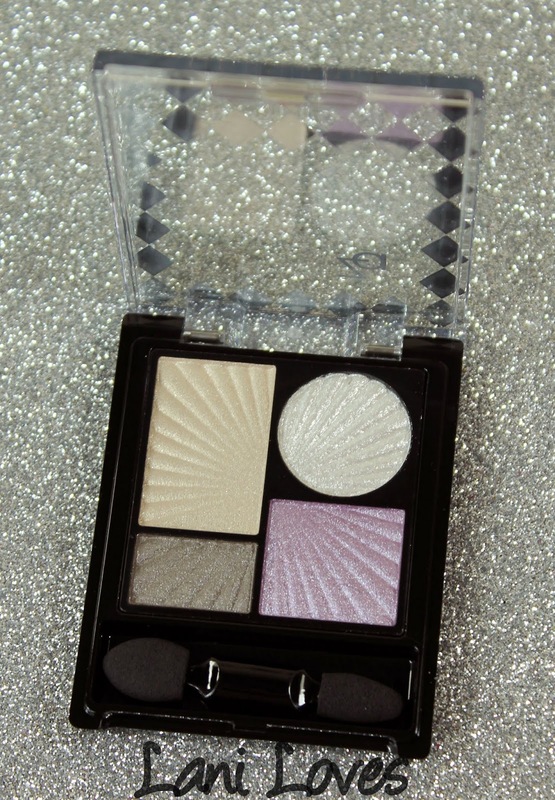 It has great opacity and although I'm not always a gloss person, I really, truly love this. It's the perfect candy-apple red! 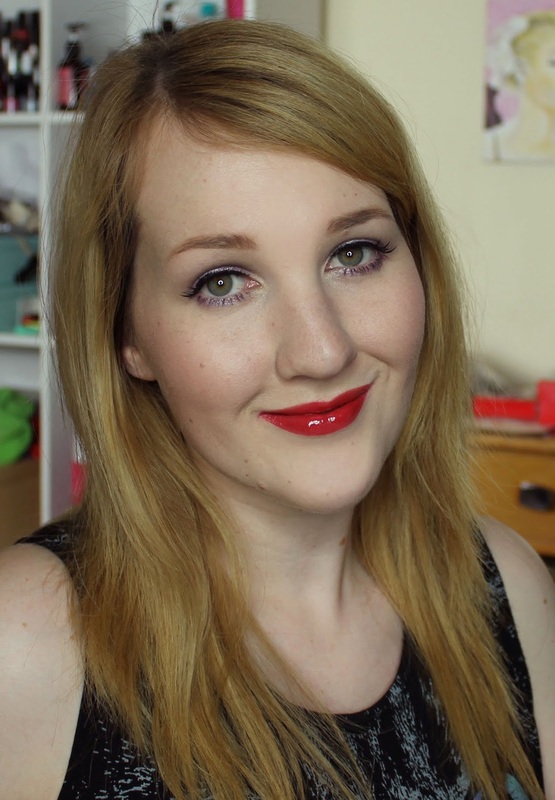 Wear time was pretty good for a gloss, it lasted for four hours before most of the colour wore away. A small ring of colour was left behind and there was a small amount of feathering. I'm going to try it with a clear lip liner next time and maybe really lightly sketch in the lip line with a matching liner, because I don't want to lose the beautiful jelly effect Bold Red has going on. 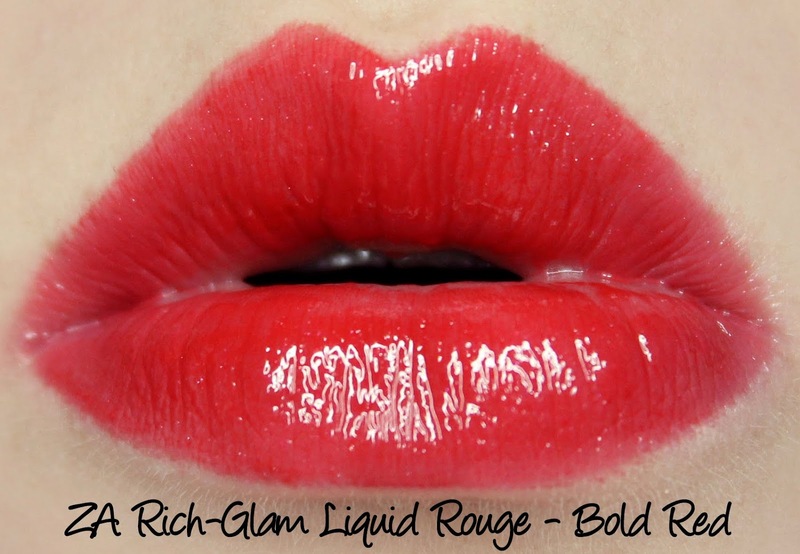 Like the other Rich-Glam Liquid Rouges, Bold Red is hydrating. What do you think of this makeup set? Would you love to find this under your Christmas tree this year?